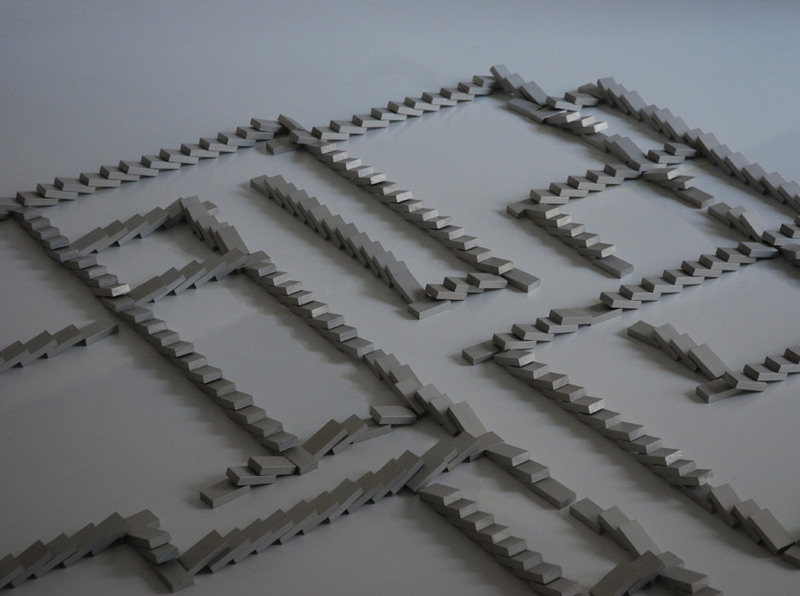 “The Domino House” is a floor installation of around 600 aluminium dominoes, that measures almost 3x2 meters and which replicates the plan of my parent’s home in a 1:10 scale. It’s the house where I grew up and that I’ve left when I faced the adult life. 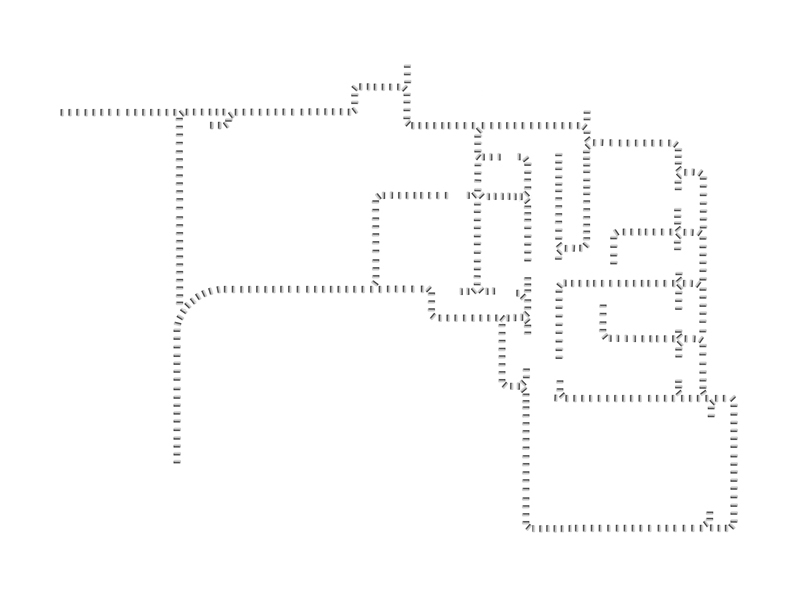 The domino’s path was developed from the original working drawings. In particular, I decided to use the drawing of the basement because I consider it very evocative both for the architectural aspect and for the psychological one: it’s the floor that directly leans on foundations, so it concretely and metaphorically plays a key role. 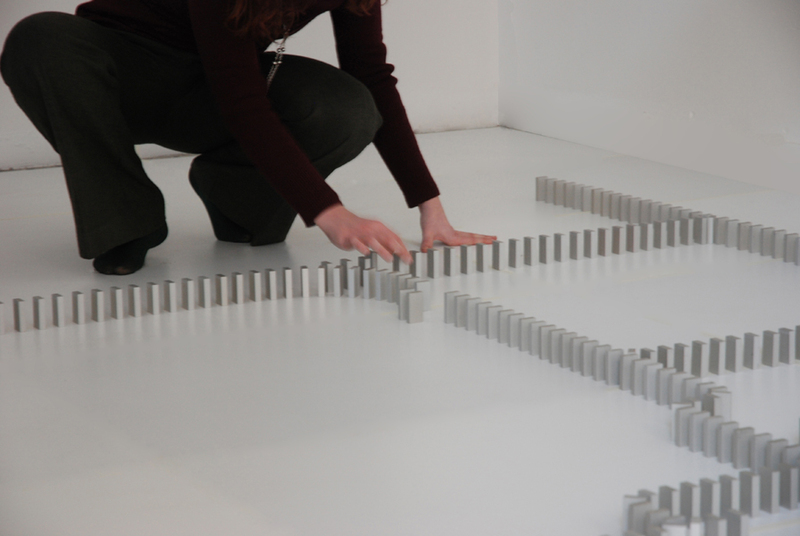 The domino game has always fascinated me. 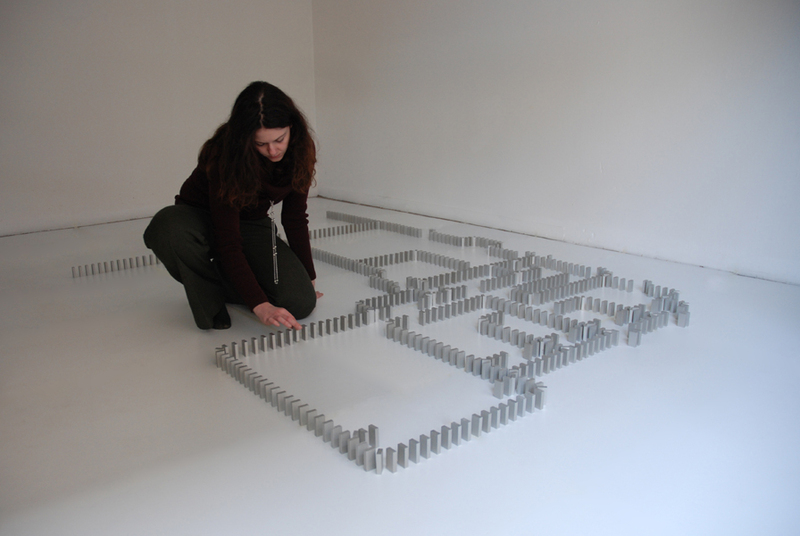 You need to position many identical pieces along a predetermined path, then you can start an inescapable, but in a way controlled, fall. 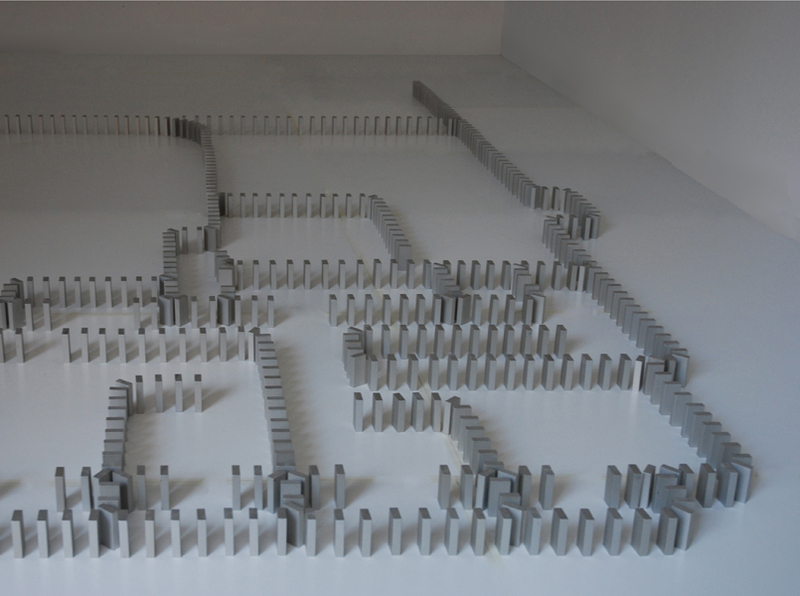 For all that reasons I decided to make a work with dominoes. I built a shaky architecture, static but at the same time endowed of a dynamic potential that it can emanate as soon as it has been brushed against.